Welcome welcome! To the sixth annual Coffee Talk (did you say that like Effie Trinket ala Hunger Games?). Are we ready? I've had so much coffee lately that I'm moving at the speed of the fast filter on Snapchat. Ya with me? Have you seen this Watch Ya' Mouth video by Joe Santagato? I know I live under a rock but I've never watched any of his videos... However that changed after this one. I don't even know what that thing is but I find the entire game hysterical. I've got allllll these hikes planned for us for the coming months. I just love everything about it. I'll even drive an hour or more to go on a particular hike. I'm sure Matt's back and shoulders will thank me. But we have fun. At least I do. And Letty sometimes. David has a lot of issues he's working through. My dad got Amazon Prime and now I can enjoy the perks of getting these shoes delivered to his house less than 48 hours after ordering them. Along with what else? Right? Our pool is up and the kids have been obsessed with it. Hours upon hours of playing in there till their hands and feet are all pruney. And they have been sleeping like babies all night. Which who says that? Babies don't really sleep at night? They sleep a lot sure, but not solid down for the count see you next Tuesday sleeping. Why is this? Now that I've lost all that weight and no longer breastfeeding I'm really excited to start wearing dresses again. Only problem being that I don't like the way my old ones fit me anymore... Too short.. Too low cut... Too "young-looking" if that is a thing? So I'm on the hunt....I've been stalking Amazon, see aforementioned Prime availability... If only I could get them all. Letty has been.... nice lately. This is new for us. She's helpful, thoughtful, appreciative.... What does it all mean? Dominic has sort of been on the upswing as far as attitude goes... depends on the day. And David well.... He's David. Obsessing about all sorts of minuscule things and flip-flopping on so many things in a feat of irrationality one has never seen before... Kids, man. Right? I've been reading Born to Run and wow. Fascinating! And so very much more entertaining than I ever would have thought. Should I try out barefoot running on my treadmill? Or pull a Forrest and just start running? Reading it sort of makes me want to, for sure. 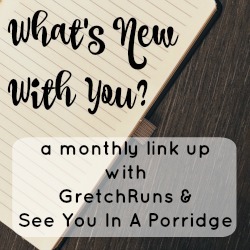 What's new with you all, readers of mine? definitely DO NOT try barefoot running on the treadmill! take it from my horrible experience, your feet will hate you and blisters will pop up places you didn't know you could get blisters and i am still scarred from the experience 6 years later. KC used to run in 5 fingers - which are basically the next best thing i think - and he ended up injuring himself fairly badly (not doing anything in particular, just not having the support that his body was used to) and hasn't run in 5 years, i kid you not. not trying to scare you haha, but whatever you decide to do, just take it slowly! and stay away from the treadmill with no shoes on. yay for dresses! i know what you mean about them being 'too young'. we need like a forever 31 store hahaha. prime is the bomb, my mother in law has it and lets us use it for prime shipping. yay! Stick to appropriate running shoes. We evolved for a reason. Also, none of your amazon links are working for me. I'll try a different browser. YES to Amazon Prime. I swear I can't live without out. And OMG no no no to running barefoot on the treadmill! I did it once and it was horrible for days after! I could barely walk. I learned my lesson for sure! Born to Run has been on my reading list for so long now! I have to finally download it. Thanks for linking up with us!! oh i had never seen that video or any of his! hilarious! haha! i feel like i could jump down a crazy rabbit hole there! i want to. i almost did, but rocco woke up. and, oh oh amazon prime has my heart forever!